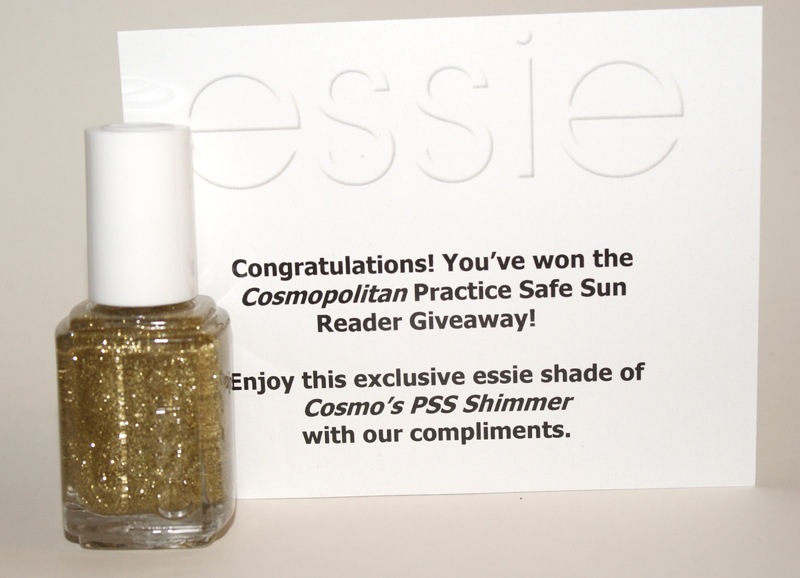 A couple of weeks ago, Cosmopolitan magazine gave away 1500 bottles of a Limited Edition nail polish by Essie. At midnight, a group of fellow bloggers/polish addicts and I entered our information in a form and crossed our fingers that it would arrive in the mail. Essie Cosmo's PSS Shimmer definitely lives up to its name! 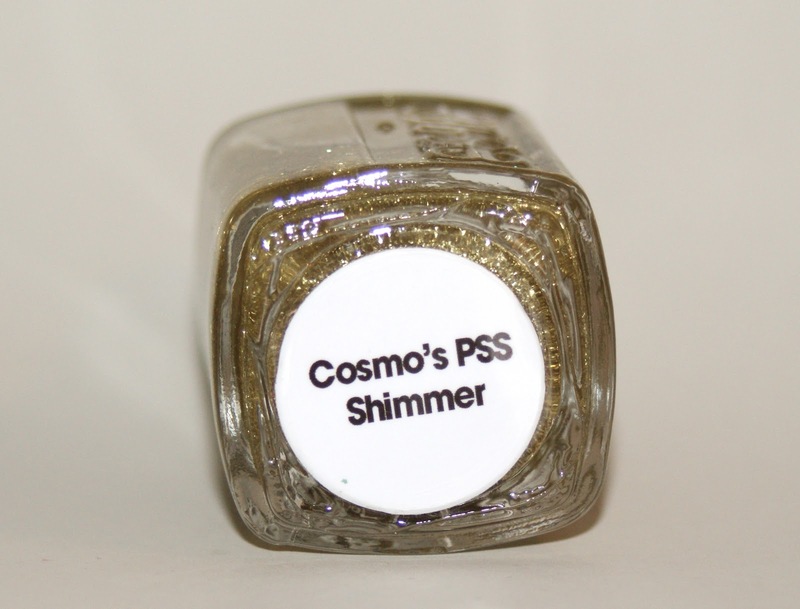 Cosmo's PSS Shimmer (say that three times fast) is a gold glitter nail polish suspended in a thick clear base. The application of this polish was kind of on the thick side and hard to photograph because it was so jam-packed with glitter! Now don't get me wrong, I liked the fact that this was not a loud gold glitter, like Julep Oscar, but rather a delicate glitter. I just wish it wasn't as gloppy on the nail. It took four coats to be opaque and I recommend waiting until the previous coat is completely dry before proceeding. It would have saved me a headache. So what do you think everyone? 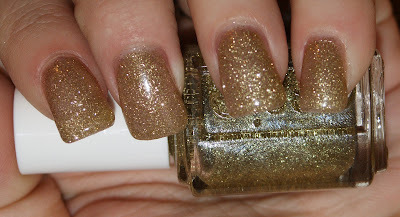 Is Essie Cosmo's PSS Shimmer a shade you'd rock? Love it! I just got one in the mail the other day. I thought it would be pretty as a top coat like one of the luxeffects since it is so sheer. It's a relabel of Golden Nuggets.